Participated in a five-day training program on “Efficiency and Productivity Analysis - Stochastic Approaches” course held at Georg-August-Universität Göttingen, Germany during 26-30 March 2012. GAMS modeling: Applied to Household and Bio-economic Analysis, Justus-Liebig University of Giessen, Institute of Agricultural and Food Systems Management, Department of Regional Project and Regional Planning, 5-11 May 2011. Palash, Md Salauddin (2015). Land use Change from Crop to Fish Farming in Bangladesh: Determinants and Impacts on farm Profitability, Margrafh Publishers, Germany. Palash, M. S., and Sabur, S. A. (2011). 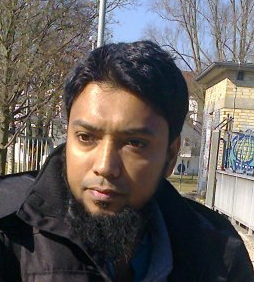 Consumer Behavior: A Study on fish and meat in Bangladesh, Lambert Academic Publication, Germany. Palash, M. S., and Bauer, S. (2017): Diversification of Farmland use in Bangladesh: Land Allocation Impacts on Farm Profitability, Open agriculture, DeGruyter, 2:175-188. Palash, M. S., and Bauer, S. (2016): Land-use decisions of rice/fish farming in Northern Bangladesh: use of PROMETHEE analysis, Open agriculture, DeGruyter, 1:55-59. Rahman, K.T., Farrukh, S. H. B., and Palash, M. S. (2016): Fed cattle market integration in the post mandatory price reporting period in United States. International Journal of Applied Research, 2(2), pp. 51-55. Palash, M.S., Kabir, H., and Bauer, S. (2015): Fish Farming Land Allocation in Northern Part of Bangladesh: Exploring Causes across the Farm Sizes. World Journal of Agricultural Research, 3(6), pp 208-217. Kabir, H., Palash, M.S., and Bauer, S. (2012): Appraisal of Domestic Biogas Plants in Bangladesh. Bangladesh J. Agric. Econs. XXXV, 1&2: 71-89. S. A. Sabur, M. S. Palash, H. N. Lina and F. I. Haque (2010): Profitability, Marketing and Price Behavior of Aquaculture Fish Fry and Feed Inputs in Bangladesh, Journal of World Aquaculture Society (USA), Willy - Blackwell, Vol. 41, No. 4, pp. 519-532. M S Palash, K S Farid and M S Rahman (2010): Price Hike Study on Household Food Security of Fishermen of Saint Martin Island in Cox’s Bazar District, Journal of Bangladesh Progressive Science and Technology, Vol. 8 No. 2, pp. 185-188. S. A. Sabur, M. S. Palash, M. A. Awal and K. T. Rahman (2010): Exporting Shrimp from Bangladesh: Effect of War and Trade Liberalization, Journal of the Bangladesh Agricultural University, Vol. 8, No. 1, pp. 127-132. Attended Grüne Woche 2015: Agrarpolitisches Spitzentreffen und Mega-Publikumsevent. 25. January 2015, Berlin, Germany. Participated in International Conference (Tropentag 2014) on “Bridging the Gap between Increasing Knowledge and Decreasing Resources” 17-19 September 2014 organized by the Czech University of Life Sciences, Prague, Czech Republic. Attended in SPRING 2012-2013 Millennium Express Seminar on “Gearing towards Community Resiliency Addressing the Scarcity of Productive Resources” 21th June 2013, University of Dortmund, Germany. Participated in International Conference (Tropentag 2011) on “Development of the Margin”, 5-7 October 2011 organized by the University of Bonn, Germany.